Abstract: Color centers in diamond offer excellent potential for nano-photonic devices that will enhance our understanding of light-matter interactions at room temperature. An outstanding challenge is the integration of single emitters into thin (few hundreds of nanometers) single crystal diamond membranes to enable fabrication of optical cavities and photonic devices. In this talk, I will first present the recent results of engineering ultra-bright emitters based on silicon vacancy and chromium related emitters. These centers exhibit record high emission rates of a few million counts per second, short lifetime and narrowband emission which make them leading candidates for plethora of photonic applications such as quantum cryptography and quantum communications, metrology and cellular bio-marking. In the second part of my talk, I will highlight the recent efforts in fabricating thin diamond membranes which exhibit excellent optical and spin coherence properties. A robust method to engineer microdisk cavities and photonic crystal cavities with quality factors of ~ 3000 from the diamond membranes will be presented. Finally, I will describe the recent results of incorporation of bright emitters into the membranes and discuss the first results of coupling emitters to optical resonators in diamond and demonstration of lifetime reduction (Purcell enhancement). Coupling of emitters to microdisk cavities and photonic crystal cavities sculpted of single crystal diamond is the first step towards “all-diamond” integrated nanophotonic networks and a better understanding of light-matter interactions in room temperature. Biography: Dr Igor Aharonovich received his B.Sc and M.Sc in Materials Engineering from the Technion, Israel Institute of Technology, Israel. 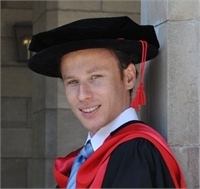 He then moved to Australia and received his PhD from the University of Melbourne, Australia, during which he discovered a new class of ultra bright single photon emitters in diamond. In 2011, Dr Aharonovich took a postdoctoral position at Harvard University, at the group of Prof Evelyn Hu. His research is currently focused on engineering optical cavities out of single crystal diamond and gallium nitride. Dr Aharonovich received a number of international scientific recognitions including Harvard Postdoctoral Award for Professional Development (2012), Young Author Best Paper Award at the International Conference of Physics of Semiconductors, Seoul (2010), SPIE Research Excellence Award (2010) and the Sigma Xi Research grant (2009).